The DynaSCAPE Manage360 Implementation & Training team have put together master class to help you get the most out of your landscape business operating system. This series of live online training based webinars will take you through every aspect of Manage360 to compliment your initial implementation and training sessions. If you haven’t registered, you still can! By registering, you’ll get notifications of when the sessions are going to air live and will also be notified when the recording is posted. Get ready for the season with Manage360! In this session, we will review your budget numbers and how to best update them, along with best practices on keeping your Costbook up to date. Learn how to optimize your Manage360 experience with this session. The settings are the backbone of each process in Manage360, and understanding how to use them will improve your tracking and reporting options. Things change, we get that. This session is all about Change Order best practices – i.e. Work Areas, Approval process, Print options. Get the most out of Manage360 reporting with this session. Learn about creating ‘custom’ reports from ‘New Report’ option, and how to set up default options when running reports. Presentation is important. This session covers how to show and hide information on a report, editing, text sizing details, and best practices. Updating so that they appear on the proposal. How to update your Proposal Templates. Don’t let any leads slip through the cracks! Learn how to clean out a cluttered sales pipeline, and how to stay on top of your Opportunities. Timesheets are essential for Job Costing in Manage360. This session covers how to manage Timesheets from the creation through to the approval process. Reducing admin, improving accuracy, reducing paper use, and effectively using staff time in the most productive way possible. Hosted by Market Hardware Inc., brought to you by the National Association of Landscape Professionals, powered by DynaSCAPE! Sound like you? If so, don’t panic! An astounding number of NALP members just finished reading that same quote and wondered if they contributed parts of it! So here’s the good news. NALP and Market Hardware have decided to partner up on a regional workshop, coined “NALP Web Marketing Coaching Day,” designed to help you understand everything from basic Web Marketing fundamentals, all the way to the most intricate, new, and timely strategies. But, because of some bad weather we decided it was better to offer this great presentation as a webinar. It’s our intention that you’ll take away a few nuggets of gold that will help you this coming season. Market Hardware was formed in 2003 by a seasoned management team with extensive Web Marketing and small business experience. Today we employ 26 experts, most of whom have been here 10+ years, who serve more than 2000 small business clients in all 50 states and Canada. We fulfill our clients’ needs because we understand their industry, competitive environment and long-term goals. Unlike most Web firms, we are not ‘tech geeks’ who build Websites; we are ‘marketing geeks’ who know our clients. We operate nationally, but are based in Bethesda, Maryland, just outside of Washington, DC. In a recent interview with Wickie Rowland, APLD of Labrie Associates Design & Build, our own Joe Salemi asks Wickie how she got started as a professional landscape designer, how she stays motived, where she draws her inspiration from, and how she decided to move forward with DynaSCAPE as her landscape design software of choice. Wickie has recently achieved her certification with the Association of Professional Landscape Designers! Wickie Rowland has been drawing ever since she was old enough to hold a pencil. 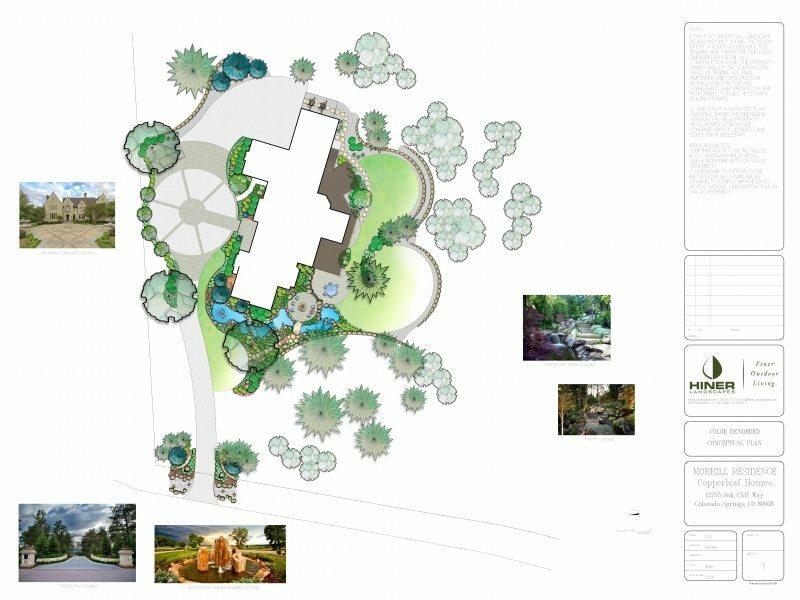 Her landscape design work has been featured in KLC School of Design’s 2011, 2012, and 2013 London shows, and she won two bronze medals in the KLC School of Design’s 2013 Alumni competition, designing two gardens for the Eden Project in Cornwall, England. She was the recipient of the APLD Silver Award for the modified rain garden in 2017. On the other side of the competition coin, Wickie has also been a judge of the Boston Flower Show. Besides using her drawing skills to design gardens, Wickie has written and illustrated two children’s books, Good Morning Strawbery Banke (which won first place in the New England Museum Association’s Publications competition in 2011) and Good Morning, Piscataqua, released in May of 2014. In a recent interview with Matt Hiner of Hiner Landscapes in Colorado Springs, CO, our own Joe Salemi asks Matt how he got into the landscape business, what he has done to surround himself with a great team, and what drew him to DynaSCAPE. Matt referenced a great book, titled “The Great Game of Business” which is a very helpful business coaching system (https://www.greatgame.com). Elite Award Winner for Innovation from the Association Landscape Contractors of Colorado! Hiner Landscapes may not have invented 3D design, but they have definitely pioneered a design process that takes full advantage of its capabilities to provide a positive and informative experience. Their ground-breaking efforts earned us The ELITE Award for Innovation from Associated Landscape Contractors of Colorado last year. Using several software programs together, Hiner is able to create a photo-realistic, animated fly-through video of a design concept. Illustrating the design in a way that 2D cannot. For professional landscape design, consultation and installation, more local homeowners are choosing Hiner Landscapes over any other landscape design/build firm in the area. They are the only firm that works laterally with their clients every step of the way to ensure their landscaping needs are met while upholding their high standards of professionalism and excellence. In this multifaceted webinar series you will see how Manage360 is ideally suited for professional landscape companies looking for a robust business system that will significant streamline operations, reducing hours spent on tedious tasks, and focusing on where the profit really is. This webinar series will be presented live and will be recorded so that you may review it at your convenience. This webinar provides an overview of how to navigate through Manage360, the budgeting process, and how Manage360 is configured for success. In this webinar, we have a great sales discussion and look at how Manage360 helps you document your sales framework, ensure everyone is on task, nothing slips through the cracks, walking an opportunity through your sales pipeline, and reporting on activities. In this webinar, we dive into setting up your costbook for labor, materials, equipment, kits, and services and then outline how to estimate accurately and efficiently in Manage360. In this webinar, we look at managing the phases of your jobs, setting up your schedules for your crews, exporting purchase orders, tracking time and materials, the job costing process. In this webinar, we look at how to manage your billing in Manage360 and how it connects to QuickBooks Desktop. We also look at the reports available to you to make sound operational decisions.